Search Big Bear Properties for Sale. Local Knowledge and Professional Representation. Local Knowledge and Professional Representation. Big Bear! Biking, hiking, skiing, boating, fishing, fun in the snow, beautiful mountains and of course Big Bear Lake. These are all great reasons to live in the Big Bear Valley. For over 16 years I have called Big Bear home, and I would like to share my passion with you. Would you like to be able to get away on the weekends, or live full time in Paradise? It would be my pleasure to help you find the home of your dreams at a great price and the right location. My experience as a business owner for over 23 years allows me to utilize my strong customer service skills to benefit you. I will put my knowledge and expertise to work for you and negotiate the best price for your new home. Are you ready to sell your home? We will find the right buyer for you and get you the best value possible. If you are looking for income property, I will share my knowledge as a Property Manager. 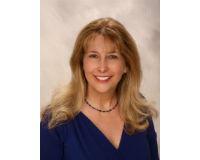 My Real Estate Team has over 55 years of excellent personalized service. I am a dedicated full time Realtor, and problem solver, committed to professionally finding the solutions to a successful purchase or sale of your home. I will be available to you, and work hard, keep in contact throughout the process, address your questions or concerns, and build a relationship of trust and respect. What does your perfect home look like? Do you want a secluded home in the forest, lakefront property, views of the lake, or be near ski slopes? Whether you want a family vacation home, a full time residence, or income property, it will be my pleasure to help you find the perfect home of your dreams!